After all, as Karl Weimer wrote, “For [many] people, thin isn’t really about being slender. ‘Thin’ is being more beautiful than you are. ‘Thin’ is coming from a wealthier family. ‘Thin’ is a bigger chest. ‘Thin’ is a smaller nose. ‘Thin’ is more followers on Twitter. ‘Thin’ is a more popular channel on YouTube. ‘Thin’ is more friends on Facebook. ‘Thin’ is famous. ‘Thin’ is a perfect score on the SAT. ‘Thin’ is your first-choice college. ‘Thin’ is an iPhone, not a rip-off. ‘Thin’ is having a better singing voice. ‘Thin’ is being from somewhere better. ‘Thin’ is being respected. ‘Thin’ is loving yourself.” ( see book link>>>The self acceptance diet). In “The Self Acceptance Diet, Karl Weimer added an Estonian proverb that stuck to my mind; it says “what you focus on expands, what you resist persists, what you fear over takes you. So consider the list below as a starter kit to slowly letting go of the fear of having a body that is not good enough, to slowly letting go of attaching our self-worth to the pounds on the scale, and to eventually come to a place where every change we make on our body comes from a place of deep gratitude and awe at the magical and resilent machine that is the body. Do not hesitate to add to the list! let love our bodies together. 1) I love the way a mother’s body changes to make room for the growing life in her. There is nothing to consciously do except have good nutrition and be filled with love. Pregnancy, very much like life in general is all about surrendering. Your job is to just nurture the environment for the blossoming of a child, but after that, you just let life do what it knows how to do. 2) I love the way a child’s tiny fingers wrap around your one finger and for that moment, you feel incredibly important, and seen, and loved, and probably a little terrified at the idea of being responsible for their survival. of a stream blocked by weeds and branches and rocks that make you feel like you have this weight sitting in your chest, then you cry and it feels everything was removed from the stream and relief rushes in and floods your body with feel good hormones. 5) I also love that there exists such an overwhelming happiness that your body’s only response is tears. It’s like your body and mind are not quite sure what to do with all that happiness and the body is like ” whooooooo!!!! this is awesome! here dude, get you some tears cuz I don’t know how we could be this happy. What are we gonna do! so much happiness! Let’s just cry ok? Let’s just cry”. 6) I love hugs. If you don’t believe in magic, let someone you love hug you. It’s incredible. I had a friend when I was in college who used to give me the best hugs whenever she saw me. She gave lingering hugs that always lasted a few seconds longer than I was comfortable with. Not because the hugs were bad, but that was also a time in my life where I was battling an inner turmoil of body loathing and worthlessness. Her hugs made me feel like I was getting more love that I deserved. So I always let go first, but not before her hugs had worked their tiny magic on me. I miss you Carolyn. I believe I give better hugs because of you. Next time I see you, I’m giving you a huge-a-few-seconds-too-long hug. You were healing me and didn’t even know it. 7) I love fingers. Unless you do a manicure, there’s not much thought given to fingers. They’re just kind of there, chilling at the end of your arms. But fingers man, they’re awesome. From touching your child’s forehead when they get their first fever, to the grip of the pen while writing your first love letter, to wiping away your best friend’s tears of heartbreak, to cupping someone’s face when you lean in for a kiss, to the way they grip the ground when you do a handstand, to extending a hand to pull someone out of ruins after an earthquake. Fingers are awesome. grandmother feels like a time capsule, or better yet, a time machine. When I went home 3 years ago, I hugged grandma and it felt like a flashback to a childhood immersed in discovering the world with her as I held on to the fabric of her skirt to follow her everywhere she went. how does she do that? Magic. obviously. 10) I like the withdrawal reflex. What it is? It is a neural pathway that controls reflexes like quickly taking your hand off stove because it’s hot. It fascinates me because the entire thing happens in a fraction of a second, well before you even have time to realize you snatched your hand because the stove was hot. In a fraction of a second, this reflex, has had time to get you to remove your hand, send inhibitors to your flexor muscles to allow your arms to fold away, send synapses to the other side of your body to prepare your feet to balance in case you step backwards and shift your center of gravity so you don’t fall. all of that in less than a second with nary a conscious act from you. All of that before your brain now lets you know why you so quickly took your hand off. What is that? Magic. Science. Awesomeness. Life’s beautiful design. How can you not be in awe? 11) (Bonus). I like cell Suicide. I promise it’s not as gloomy as it sounds. Also called apostosis, programmed cell death is another one of the body’s wonder. It serves various purposes, from self destruction when there is a defective mutation, to self-destruction in order to give life; That is, cell self destruction is an integral part of the development of the fetus. At every stage of the fetus’ growth, there are cells that die off when they are no longer needed and make room for those that eventually make up our body when we are born. 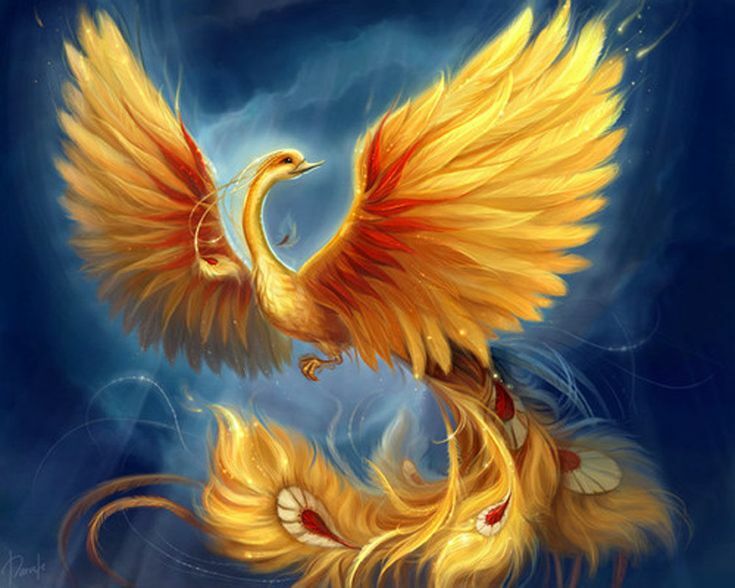 My favorite mythical animal is the phoenix, known for spontaneously setting itself ablaze to eventually rise to a new life. That is what I see in cell death. A spontaneous, surrendering to give rise to you, your body. It is a reminder that what often feels like the end for us, is actually making way for better. In heartbreak for example, or getting laid off from a job, we have a tendency to hold on to that situation, convinced that that was it. That was the height of our happiness, that is the best we will ever get. We must learn to let go, to be like the cell death, to be like the phoenix, to willingly surrender and rise to be better than ever. So there you have it. 11 things to love about your body’s awesomeness. Help me grow the list. What do you appreciate about the body that we often overlook? Please note: I did not include the experiences of people living with disabilities because I do not want to speak on their behalf. If you know or are someone living with a disability, help me add to the list for a more inclusive experience. pretty please?